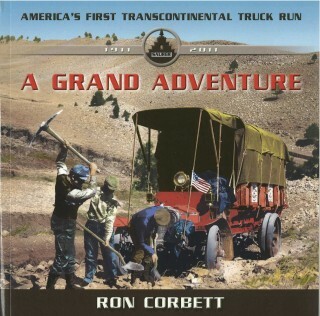 It may surprise you that a Canadian lies at the heart of A Grand Adventure: America’s First Transcontinental Truck Run. 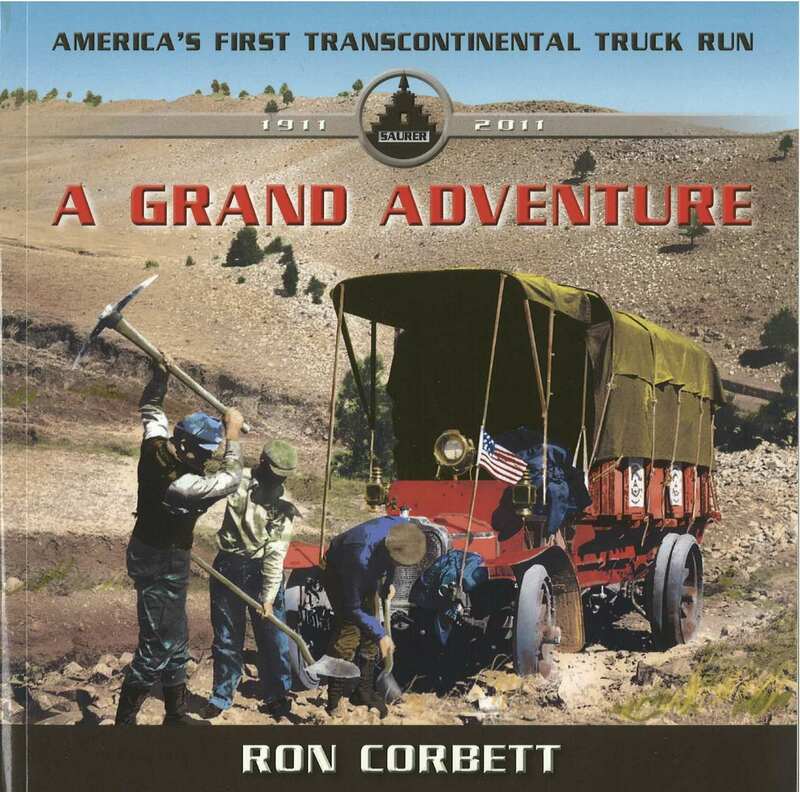 The latest book from Ottawa’s Ron Corbett recounts the true story of three men who attempted to become the first to drive a truck across the United States back in 1911. One of these four men happens to be George MacLean, born and raised in Campbell’s Bay, Quebec — not too far from Ottawa. Ottawa Magazine talked to the award-winning journalist about the book, the fascinating story, and his next project. What drew you to write this book? I first heard about the story a few years ago, from a relative of George MacLean, the Canadian who drove the truck. I sort of kept it in my back pocket until the 100th anniversary approached. I thought it was a crazy road trip story, and always looked forward to writing it. The journey started 100 years ago. Why do you think it’s taken so long for this story to be told? I think the story never received much attention because the truck company that organized it, Saurer, merged with Mack Trucks the same year. Mack never promoted the trip, although the company does have all the original photographs. The only formal recognition of the trip I could find was an historical marker in Campbell’s Bay, the hometown of George MacLean. What were some of the most challenging moments during the research process for the book? The entire research process was a challenge. Because the trip received such little publicity, there was little source material to start with. I never did track down a trip journal, but had to piece the journey together one newspaper story at a time. Plus, a lot of the material I found, especially in the beginning, was wrong. There are, for example, three published dates out there for the beginning of the trip. It was a very good day when I could confirm exactly where the truck was on any given day. You interviewed a number of archivists while researching the story. Who was the most insightful? All the archivists were great. To be honest, I’ve never met an archivist or librarian that was anything but great. You don’t do that job if you have an attitude or ego. You do it because you like discovering things, which is a beautiful way to spend your life. I can tell you, though, that the archivist with the best name was Kim Bravo, from the Philadelphia Free Library. With a name like that she should have been born a super hero. Have you heard any feedback from the truckers’ families about the book? I have heard from MacLean’s family, and interviewed some of them while researching the book. His daughter-in-law and grandchildren live in Peterborough. They are quite happy that this story is now better known. George MacLean’s original wooden toolbox is actually a coffee table in his granddaughter’s home. What do you hope readers take out of A Grand Adventure? I hope they take away what an improbably journey this was a trip across North America when there weren’t any roads to speak of in the American Southwest. George MacLean averaged 3.7 miles per hour driving through New Mexico (which wasn’t even a state at the time.) The trip itself took five months to complete. It says something about the character of the men involved (MacLean, Anton Westgard, Arthur Thompson) that they succeeded. It says something about what can be accomplished when you set a goal and stick with it. You’ve written five non-fiction books. Have you ever considered writing fiction? I have considered it, but with the real world as quirky as it is, I’ve never felt a strong urge. I would never have written A Grand Adventure as fiction, because no one would have believed the story. I have. It’s going to be another non-fiction book, dealing with the Afghan Mission. I don’t want to say much more than that at the moment. I don’t like talking about books until they’re almost written, because I might jinx something. (Which I probably shouldn’t admit because I’ve already signed a contract for this book, and had no qualms about cashing the publisher’s cheque).